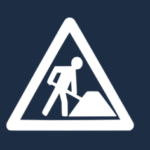 This is the bi-weekly ownCloud community update for the weeks of June 30 to July 13. These updates pull together activities from development mailing lists, blogs, coding work and everything else community members share with us. Tips are very much welcome! Ping Jos with your input. Biggest items last week were the work leading up to the release, with sneak previews on the ownCloud blog and further stabilization work. There was also activity in the ownCloud app area. Read the report on week 25 and 26 here. 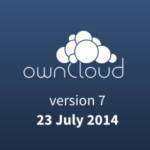 As we’re getting ready for the release of ownCloud 7 (tomorrow! ), most changes are related to improving stability and behavior as well as fine-tuning the user interface and interaction. On July 3rd, Frank created the stable 7 branches, opening development for new features, a bit of which has already started to happen. Roundcube updated to 2.4.1 with some bug fixes. The CAS user and group backend was updated to 1.1 bringing ownCloud 7 compatibility and some bug fixes. APK Info was updated to version 1.2 with changes far larger than the version jump seems to indicate. Rewritten core library and fixes for many issues. The release of ownCloud 7 is Wednesday the 23rd (yep, that’s tomorrow) You can join us for a live release hangout! Over the last week Frank released a series of release candidates and calls for testing, see the mailing list archive of the ownCloud test pilots. If you want to help test ownCloud in the future, join this list! There has been quite a bit of discussion on the ownCloud Read Later design mockups, triggered via the mailing list. If you are interested in application user interface design, consider joining the design team. Muktware wrote about WebODF integration in ownCloud. We also proposed to organize release parties and asked for help promoting ownCloud 7. There are ownCloud events taking place! You can meet fellow ownCloud users and developers at ownCloud meetups or see us at conferences. 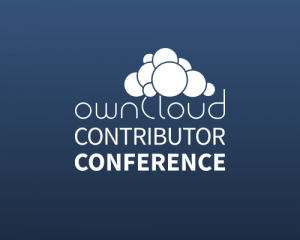 We are also organizing an ownCloud Contributor Conference for existing and interested potential contributors to ownCloud. It takes place from August 26 to 31 in Berlin, Germany. 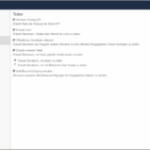 Find a calendar of ownCloud on owncloud.org/events.